El Limeno was located at 201 Upshur St, NW across the street from Hitching Post and closed in Sept. 2010 after some, uh, legal troubles… It had been vacant ever since. 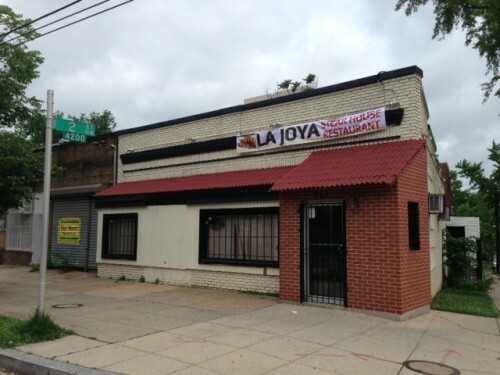 Thanks to @JustinTLogan for sending word that a sign has been posted for La Joya Steakhouse Restaurant. Could be awesome! Updates when they get closer to opening.